Spreading the word, following a posting on the RC Messageboard, more details once once they've been passed across. 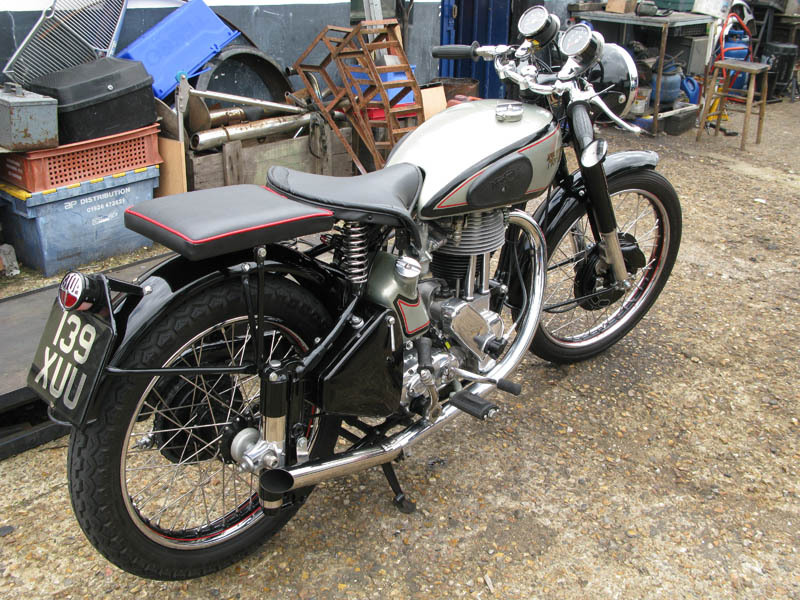 Please keep an eye out for my mate Jim's Norton, he spent all summer building this bike just to go to the IOM next week, and last night it was stolen from his house..... And as you can imagine he is devastated..
........the police don't want the numbers issued at this time, conical hub, and red piping on pad are the stand out features. 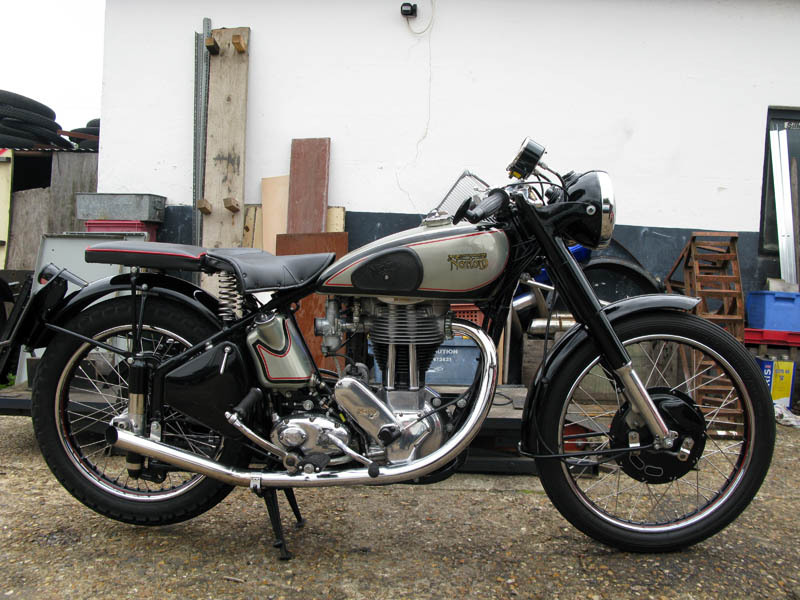 There will be a reward offered soon, just waiting on the crime stoppers team to set up the details, and then I will post them here..
My lad has just been telling me about a newly restored Norton stolen from near Louth. I suggested he pass the forum details on to the owner. Before he does , is this the same bike by any chance? No Idea, those details have not yet been forthcoming. OK mate. I'll get Marc to do the biz re the forum. Bike thieves! Need ponding with a bike tied to em! The bike was stolen from Farnborough, Hants. I have decided to ask you to put out the engine & frame number as there seems little point in not doing so, they are as follows G4. (denotes ES2 model type) & 46436. And its a 1952 plunger model... not rigid ... if its the same as the piccies! FastFrank wrote: And its a 1952 plunger model... not rigid !